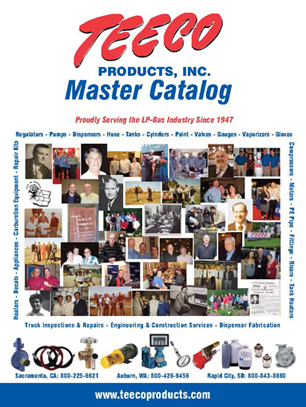 Teeco Catalog – Download – Teeco Products, Inc.
Teeco’s Catalog contains over 250 pages of products and information for the LP-Gas Professional. The attached catalog is unpriced. Please Login to your account or contact your Teeco Representative for your pricing. You must have an account with Teeco to purchase from us. We are unable to sell to the general public. If you would like to order a hard copy or CD version of our catalog, please fill out our Catalog Request Form.